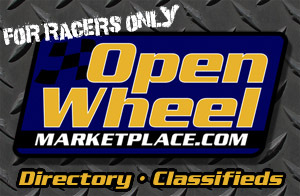 Lonnie Wheatley, TULSA, Okla. (March 6, 2015) – While much of the nation is still firmly in the clutches of Winter’s grip, there are a few select selections that have still have the green light for racing action on this first weekend of March. With a pair of mid-week World of Outlaws shows in the books at Las Vegas over the last two nights, with the USAC Southwest vs. West Coast non-wingers joining in on the Thursday action, the biggest event remaining on the weekend slate is Saturday’s WoO card at Tucson’s USA Raceway. 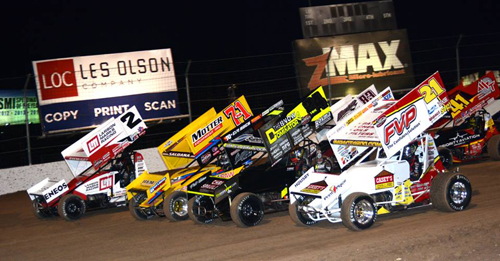 The World of Outlaws have offered up five different winners in as many races thus far and with the likes of points leader Joey Saldana, Paul McMahan, Kerry Madsen, Danny Lasoski, David Gravel and Jason Sides among the ranks of the winless, a sixth different winner is a distinct possibility. Brad Sweet, who slipped from first to fourth in WoO points after two Vegas nights, is the defending Tucson race winner. 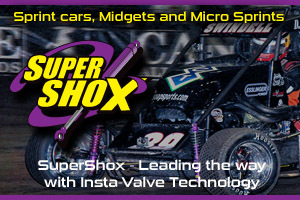 Another pair of notable events this weekend include Saturday night’s “Sokola Shootout” at Perris Auto Speedway that lifts the lid on the 2015 USAC/CRA season while to the north in California it’s the Silver Cup for winged 360’s at Silver Dollar Speedway. A two-night stand, tonight’s portion of the Silver Cup is the only race on the national docket. 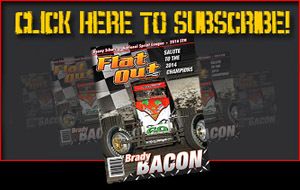 Damion Gardner won last year’s “Sokola Shootout” to successfully launch a second consecutive championship season. Sean Becker topped the opening leg of last year’s Silver Cup in Chico before Rico Abreu won the finale.